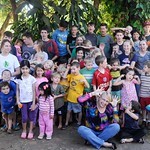 Centro Educativo Internacional is a Christian school started by SIM in Villarrica, Paraguay. It serves approximately 280 students. The majority of the teachers are evangelical Paraguayan Christians. The school's English programme has been a vital part of drawing families to the school. Pray that each year God would provide the school with English teachers to support the programme. Pray that the teachers will grow in godliness and knowledge, sharing Christ's love with their students. Pray that the school will be a light for Christ within the community. 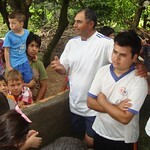 Pray that the Gospel will flourish in Villarrica .